■ Can detect all metallic foreign bodies. ■ Two signal indicator according to the size of the metal show different induction. ■ A leak check function. When there are multiple metal signals, the instrument automatically detects the signal frequency, the executing agency will not produce missing in action. 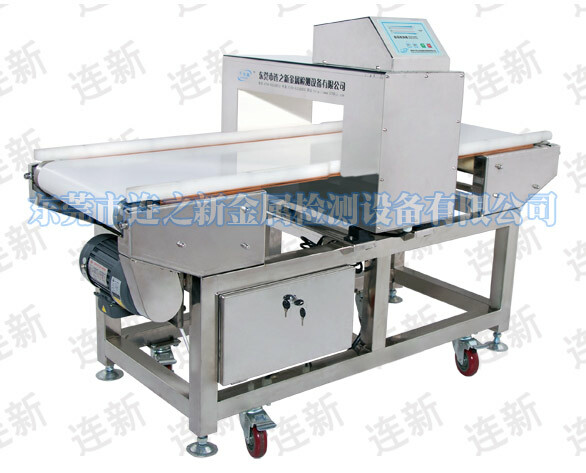 ■ The whole machine adopts stainless steel mirror, the use of laser cutting welding technology, waterproof and dustproof design, and high-power motor with Taiwan. ■ Detector using sound and light alarm, and shutdown, the operation extremely easy to use and reliable, but also has superior shock tolerance.